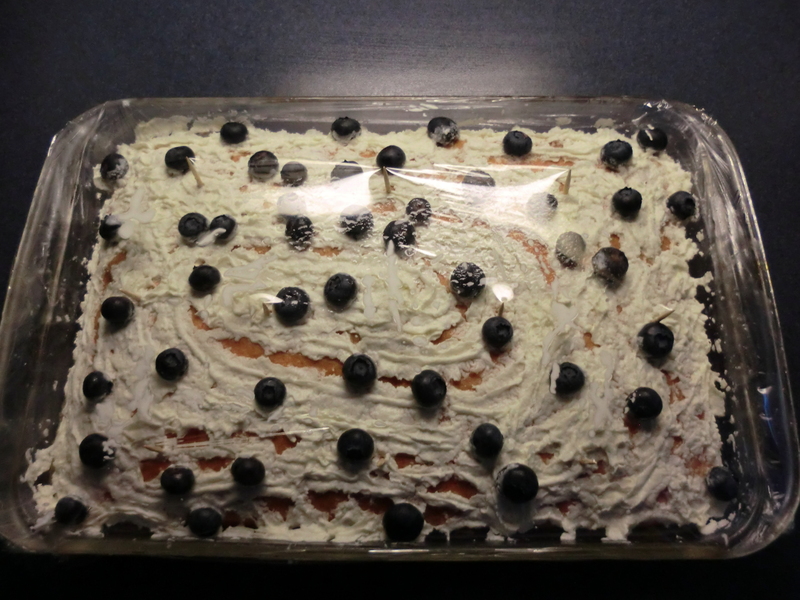 I learned a painful lesson last July 4th when I tried to make a red, white and blue dessert. The strawberry cake was to be the red portion and it was delicious. The fresh blueberries took care of the blue portion and they were wonderful. It was the white portion that failed. In a moment of laziness, I decided not to make frosting and sprayed Ready Whip on top of the cake instead. It looked pretty with the ruffles from the slits in the tip. Only it didn’t last. When I got the cake out a few hours later, the whip was…well…whipped. We all can learn from my mistakes! My friends recommend this recipe for Cool Whip frosting, http://m.wikihow.com/Make-Cool-Whip-Frosting. This entry was posted in Food by Frugal Fish. Bookmark the permalink.